UK - Samlerhuset Group B.V. The London Mint Office was established in 2006 and since that time has become the UK market leader in the provision of collector coins and medals. 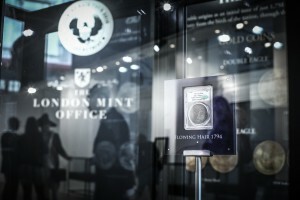 The London Mint Office aims to provide its customers with a comprehensive range of products, ranging from world-renowned Sovereigns to the innovative Changing Faces collection of circulation coinage, and an unparalleled level of collector service. The London Mint Office is a member of the DMA (Direct Marketing Association) in the UK and is an official distributor for many national mints. The London Mint Office has helped to support a number of UK charities through the sale of numismatic products including Help for Heroes, The Diana Award and The Imperial War Museum and was also an official licensee for The London 2012 Olympic Games.